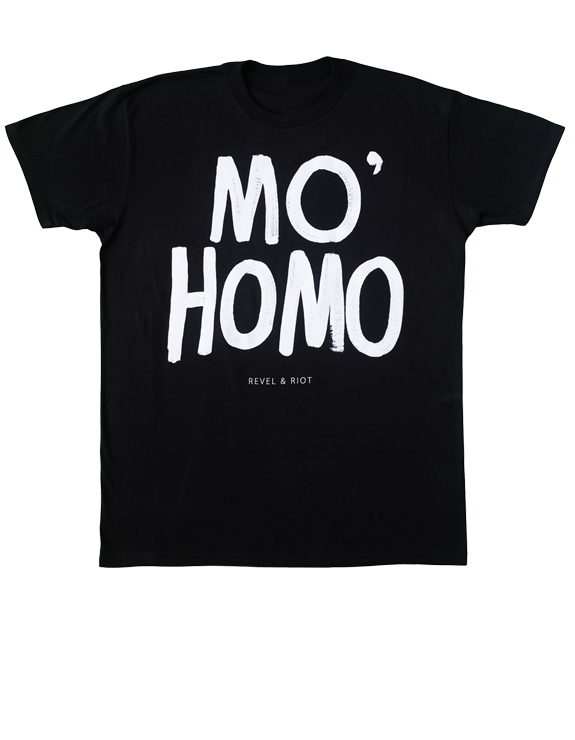 Mo' Homo (short for MORE Homosexual) is a defiantly positive slogan, twisting around the homophobic slang "No Homo." 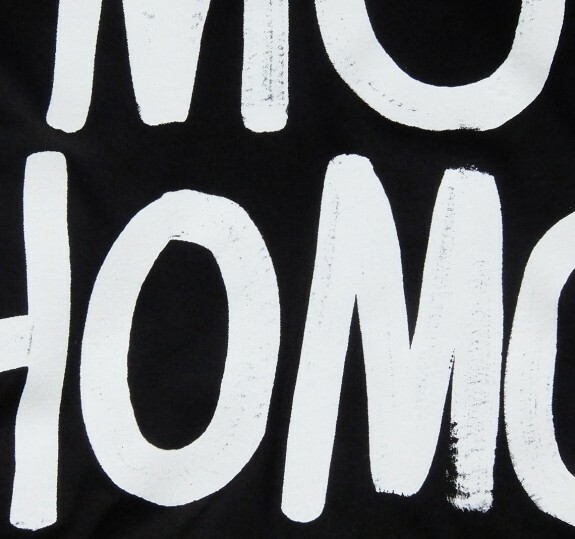 "No Homo" has been in use since the early 1990s, credited to Harlem rapper Cam'ron, and gained popularity in the 2000s through artists like Lil' Wayne. It became a widely used phrase to indicate that the speaker is not a homosexual, nor do they mean something in a homosexual way - in most cases used as punctuation after saying something that could be construed as gay, like a compliment from one man to another. 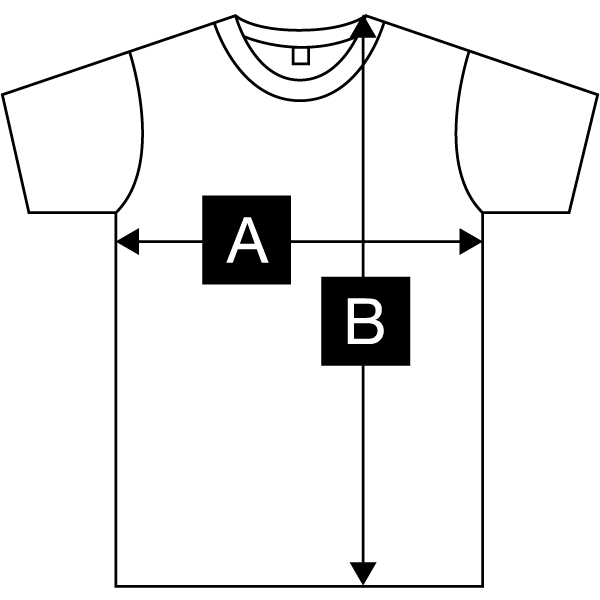 The Mo' Homo design is about recognizing the progress that has been made. As LGBTQ visibility has increased, progressive voices have grown louder, and gratuitous homophobic rhetoric has become less and less acceptable. In this case we turn that language on its head and reclaim it for our own pride and amusement. 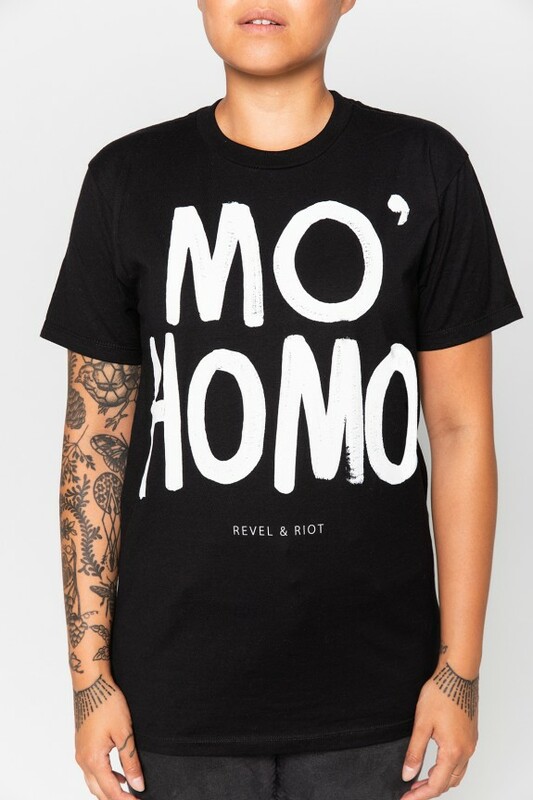 A great shirt for LGBTQ people and their allies - especially as a gift for somebody who used to say "no homo" and now regrets it! Check out Jay Smooth's very excellent explanation of the history and uses of No Homo. 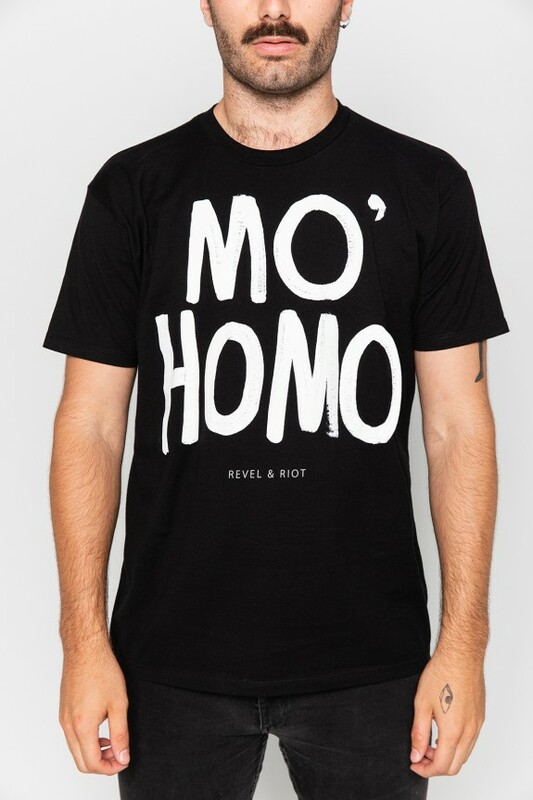 The Mo' Homo design is printed in distressed white ink on a black t-shirt made of 100% ring-spun jersey cotton. Lightweight and exceptionally soft.